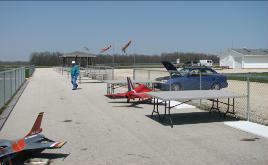 The Sharks Club began as a small group of RC enthusiasts back in the late 1960’s, flying wherever they could find available space. In the early 90’s, they banded together some personal funds and credit to buy 28 acres of land nestled perfectly between Hwy 23 and County Road C, roads that connect Plymouth and Sheboygan Falls, Wisconsin. Since that time, the club has grown and major improvements have been made. Today, SHARKS field has both paved north-south and east-west runways and neatly trimmed grassy areas, for flyers who prefer taking off and landing on a softer, more forgiving surface. The club house is a large four garage door building. The two pilots-only pit areas are marked off with chain-link fences that separate them from the general public and provide protection from wayward planes. 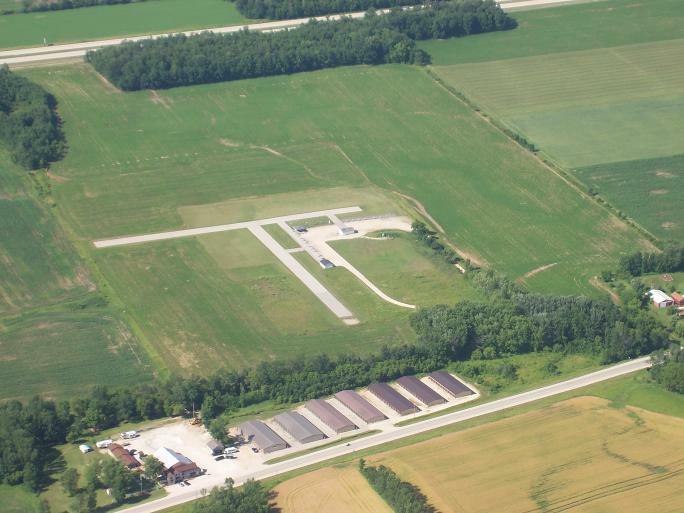 Both runways have five chain-linked flight stations spaced perfectly for pilot comfort and adhere to AMA regulations. We have electricity at the field houses, the spacious elevated sun shelter and an outdoor pedestal for camper use. Seasoned flyers, with the use of trainers and buddy-boxes, will assist anyone who is interested in learning to fly. The club’s by-laws are maintained by a board of directors and the club officers.